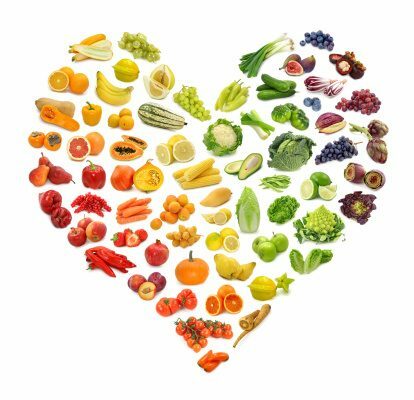 Home > Health Conditions > Heart Disease > Can a Vegetarian Diet Prevent Heart Disease? Can a Vegetarian Diet Prevent Heart Disease? If you ever suspected that there was something vegetarians knew and you didn’t, this study proves it. A new study from Oxford University has found that vegetarians have a lower risk of hospitalization or death from heart disease than non-vegetarians. The study, published in the American Journal of Clinical Nutrition, examined 44,561 adults living in England and Scotland, of whom 34% were vegetarians, and followed up with them over a period of more than 10 years, from 1999 when the participants were recruited until 2009 when the study concluded. The results found that vegetarians actually had a 32% lower risk of hospitalization or death from ischemic heart disease. That was after controlling for other factors that might have affected the results, such as age, smoking, amount of exercise, alcohol intake, socioeconomic background, and educational level. This was the largest study ever conducted to compare heart disease risk between vegetarians and non-vegetarians in the U.K. The vegetarians had lower blood pressure and cholesterol levels compared to the non-vegetarian participants, which the researchers say is probably the reason for the difference in heart disease risk. Other studies have already shown the huge toll that cholesterol and high blood pressure can take on your health, both of which put you more at risk of developing heart disease. So does this mean we should do away with the meat and embrace vegetarianism? Not necessarily. What the study shows more than anything is that what you eat affects your health. In this case, vegetarian diets were healthier—most likely because vegetarians consume a lot more whole grains, beans, and vegetables—all foods that are very healthy. Since vegetarians aren’t eating meat or poultry, they’re getting their protein from somewhere else, like chickpeas, soy, and other foods that are very healthy for you. It doesn’t mean that eating meat or chicken is bad for you—what it does mean is that the dietary choices you make affect your own health. For example, if you’re going to eat chicken, then eating a grilled chicken breast is a healthier option compared to a deep-fried chicken nugget. What the study shows is that it all comes down to our food choices. Crowe, F., et al., “Risk of hospitalization or death from ischemic heart disease among British vegetarians and nonvegetarians: results from the EPIC-Oxford cohort study,” American Journal of Clinical Nutrition 2013: 597-603.